It still amazes me how you meet people in your life who can make a difference. I am an introvert and I don't like interacting with people most of the time, but there are those who just make an impact in my life. For the most part, I don't mind spending time with them. Heck, I actually find myself NEEDING their company sometimes! 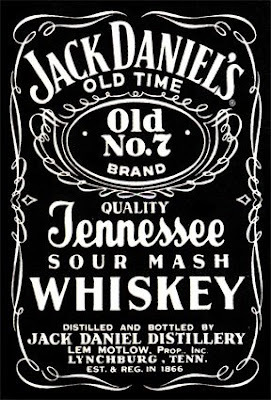 Yeah, I have had a couple (or so) Jacks tonight, hence the introspective, sentimental mood. I guess it's one of those nights...I am on "the edge of something much too deep," but somehow, it will turn out OK one way or the other. Here's to Jack Nights! You drink JACK DANIELS?? You are so crazy. I'm from Tennessee where that stuff is made. I visited Lynchburg where it's distilled. The town is ideal--small, nice neighbors, even a town square in the center. Also, they don't sell alcohol there--I'm serious. It's in a "dry county." I guess I know a little too much about Jack Daniels. But it was funny to see that big photo of it on your blog. Ha ha, I've been called that so many times, Holly! Try it with Coke, it is actually good. And I can't believe that you still have dry counties today! And where Jack is made??? THAT is crazy. How is the hubby and the kids?